To anywhere in the continental United States! Street Sign USA offers low standard shipping rates to anywhere in the continental United States. Please refer to the chart chart below. 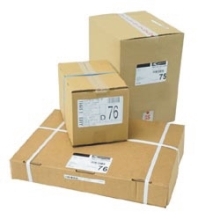 To estimate shipping charges on your order, just add the weight of the item by the quantity of items needed. The weight of each product can be found in the specifications section of the item's listing. We utilize UPS, USPS, Local/Regional Courier Services & motor freight to ship orders. Tip: For all orders, orders that weigh more than 70lbs., oversized items & motor freight shipments, just proceed thru the checkout process to view available shipping methods and rates.